Data from Baldwin Locomotive Works Specification for Engines, as digitized by the DeGolyer Library of Southern Methodist University, Volume 30, p. 142. Works number was 29102 in June 1906.
 is the builder's photo reproduced in Narrow Gauge From Off The Beaten Path. 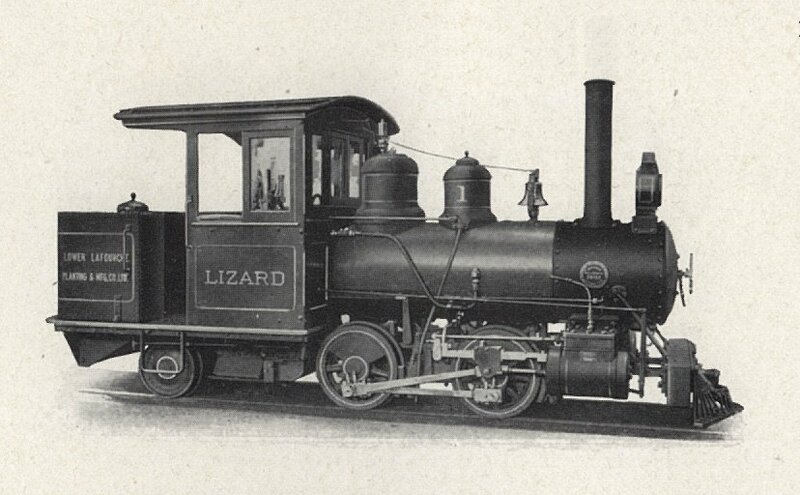 It shows this sugar-plantation engine as it was about to set off for the Louisiana company to operate on 25 lb/yard (12.5 kg/metre) rail. Brokers Gibbens and Stream ordered this little tank.